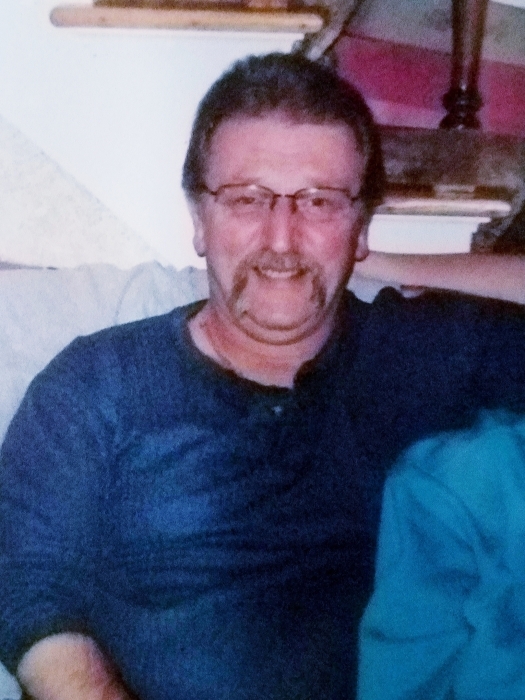 Dennis Arsenault 61 , of Skowhegan, passed away at home surrounded by family on December 2 2018. He was born February 11 1957 in Skowhegan. He graduated Madison High School 1976, worked at Madison Paper Industries. He loved golfing, watching the Red Sox, Patriots games, Friends and Family gatherings, the Fishing trip with the boys from the Mill, Long rides, and our beloved dog Rosco who passed November 15 2018. He is survived by his mother Jeanntte M. Arsenault of Madison , his wife Darcy Arsenault of Skowhegan, his son Jason Arsenault and wife Rachael of Eastern PA. son Marc Arsenault and his girlfriend Courtney Hall of Milford, Stepdaughter Heidi Prescott of Skowhegan and boyfriend Corporal Matthew Cunningham of Palmyra, stepson Skyler Prevost of Anson. brother Larry Arsenault and girlfriend Dawn Poirier of Madison, brother Dale Arsenault and wife Alice of Madison, sister Pamela Braizer and husband Jeff of Madison. Several grandchildren two great grandchildren, nieces, nephew. He was predeceased by his father Richard D. Arsenault January 31 2008. A graveside service will be held in the spring at Forest Hill Cemetery in Madison. Time and Date will be announced. Arrangements are under the care and direction of Giberson Funeral Home 40 Maple Street Madison. www.gibersonfuneralhome.com. In lieu of flowers please donate the the Animal Shelter of your choice.